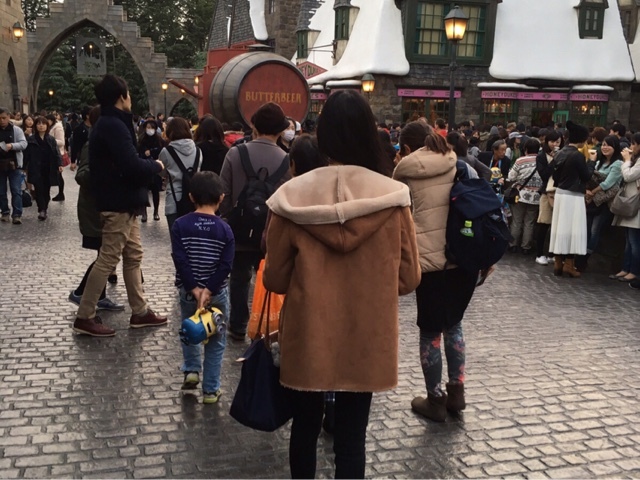 As a sufferer of post-Harry Potter depression, and a Ravenclaw, of course I had to go to the recently-opened Harry Potter World when I went to Japan. 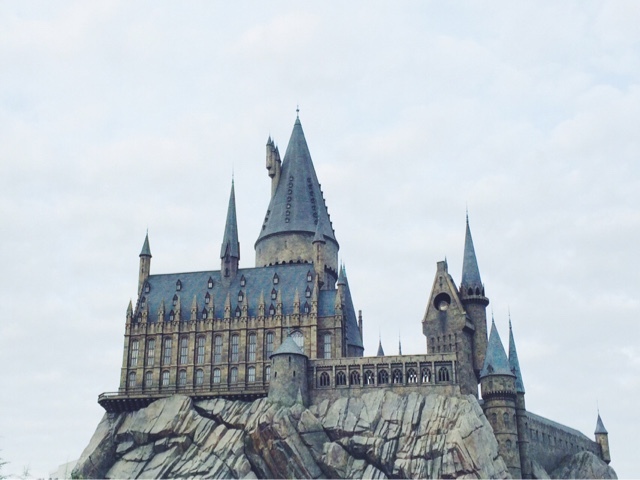 Yet to visit the US, but fyi I've been to the Warner Bros studio tour twice :D The Wizarding World of Harry Potter is in Universal Studios Japan, Osaka, and I'm still wondering why the UK doesn't have one because I clearly recall, en route from Platform 9 3/4, King's Cross to Edinburgh Waverley, that there a lot of land. Pretty please. So, Universal Studios Japan doesn't cater for foreign visitors. Like, everything is in Japanese. Everything. I guess the all-in-Japanese ticket website was a clue really. We only went there for Harry Potter World anyway. We initially panicked, thinking we weren't going to get into HP World because all the packages were sold out online and in Lawsons. But it's pretty easy to get a timed-entry ticket once you're in the park - you just have to print one off at the designated machines. We got there in the morning and still had to wait until half 3 for our time slot /yawn. The HP World is predominantly remodelled after Hogsmeade, complete with snow-capped shops (Honeydukes, Zonko's, Ollivanders etc. albeit that some of these shops belong to Diagon Alley). There's also a substantially-sized Hogwarts castle, some gargoyles, a Hogwarts Express and also a big lake (the lake where Harry conjures a patronus to save himself?). We only went on The Flight of the Hippogriff, which was a quite anticlimatic ride (expect to go round in literally just circles). 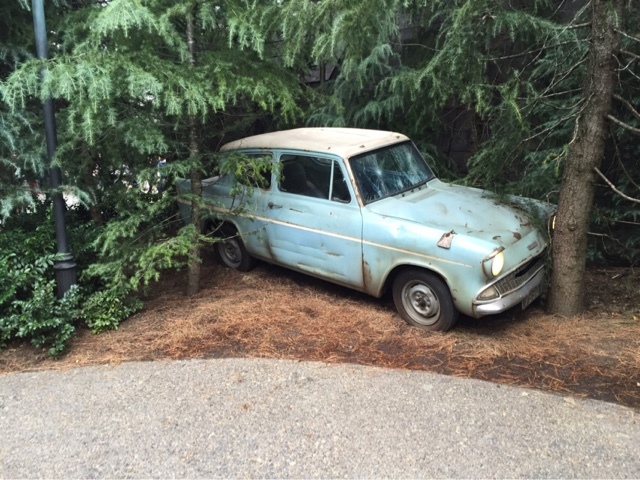 The Harry Potter and the Forbidden Journey attraction was a 3-hour queue and since not everyone was a fan of HP, we couldn't justify waiting that long. Cry. So close yet so far. Instead, we drank steaming mugs of Butterbeer from The Three Broomsticks to keep warm. For anyone that hasn't had Butterbeer, it's very much a cold drink that tastes similar to Cream Soda served in cute plastic mugs from an outside kiosk. I don't actually like Cream Soda, but I do like Butterbeer. But maybe that's because I like anything Harry Potter.